As part of the Ottawa 67’s Prospects Grassroots Program, one lucky young hockey player is named Prospect of the Game. 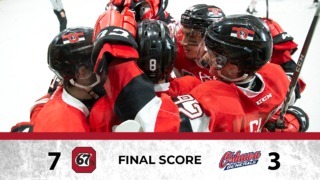 On Friday, February 26, James Haggar was selected to be the 67’s Prospect of the Game. Jake plays centre for the Osgoode Rideau Senators. 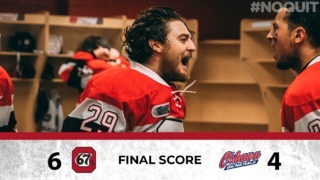 One of his favourite 67’s player is fellow centre Ben Fanjoy. James met Ben before the game and got his autograph. He also took part in High Five Alley, where he wished the entire team good luck as they took the ice to battle the Sudbury Wolves. 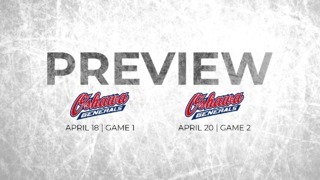 For more information on how you can be the 67’s Prospect of the Game visit 67sProspects.com.